The women who dedicate themselves to the convent give up a lot for their lifetime of service; maybe that’s why their numbers are falling like a meteor plummeting to Earth. On the upside: Married to God. Downside: Vows of chastity, poverty, and worst of all, obedience. 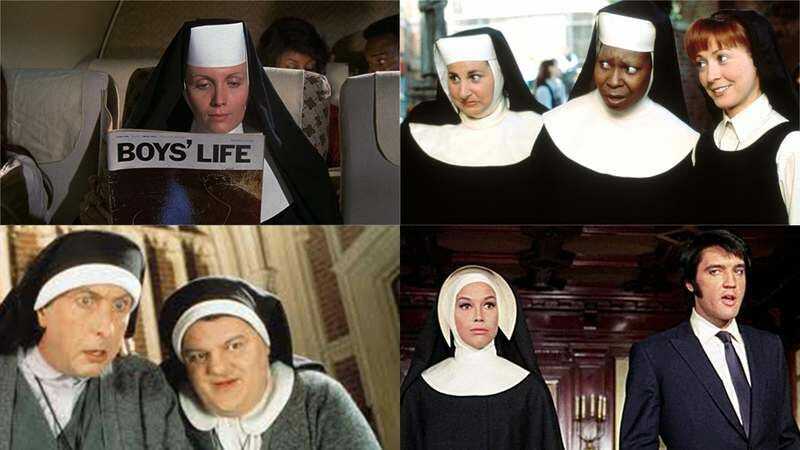 That trio of rules doesn’t leave much room for drama, so in the movies, the nuns that stand out most are the ones who veer significantly from the mainstream. On the 25th anniversary of Sister Act—one of the most unusual nun movies of all—we decided to take a look at some other unconventional movie sisters. Raising tigers, dating Elvis, impersonating dolphins: Some of these nuns can even make a life of the cloth look fun. Not that we’re in the market or anything.